Black IP Stainless Steel Prayer Bracelet | BUDK.com - Knives & Swords At The Lowest Prices! 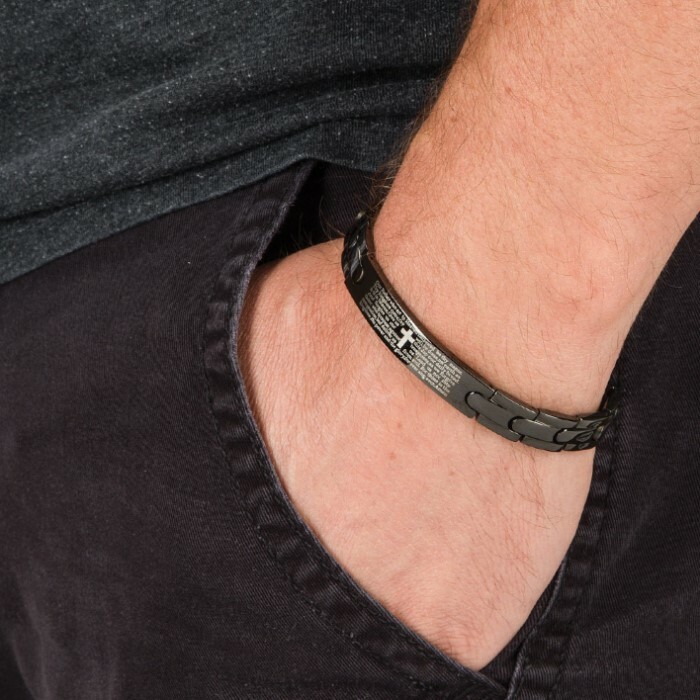 Stylish and sophisticated the Black IP Stainless Steel Prayer Bracelet will be a great addition to your collection. 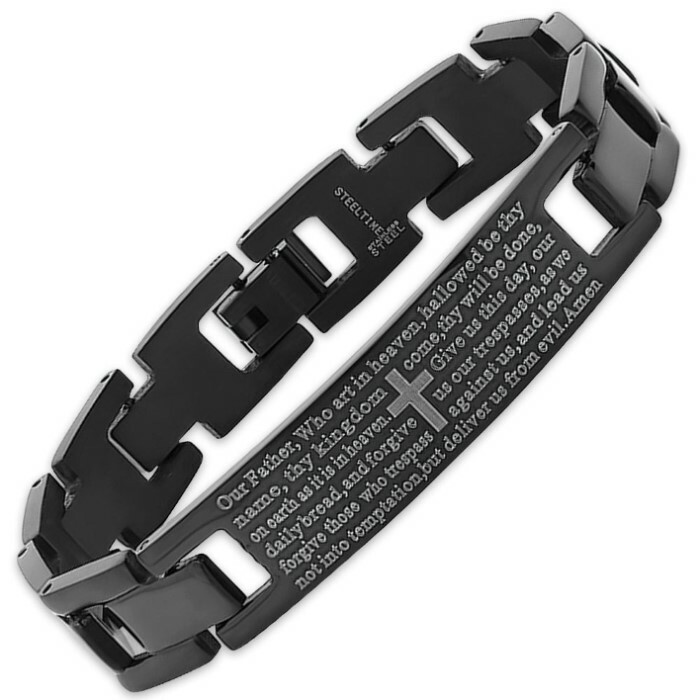 It features The Lord's Prayer in its entirety and a cross as the centerpiece of the design. 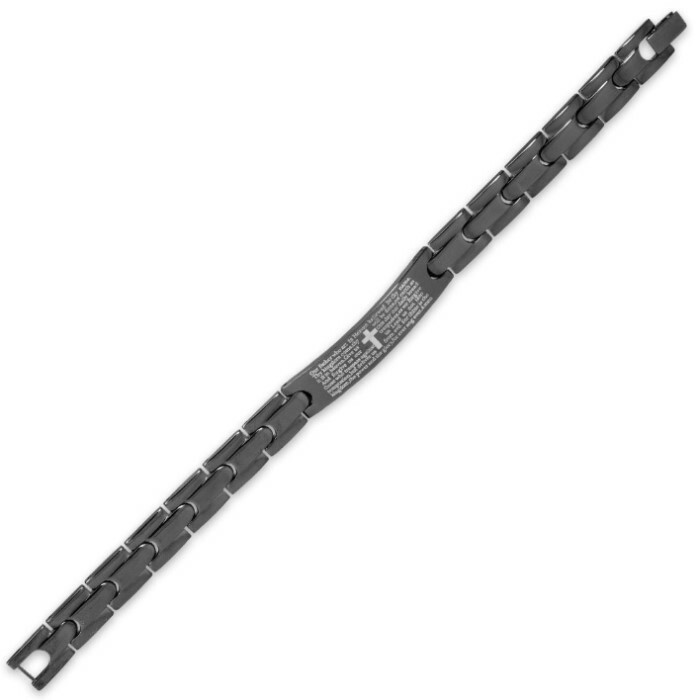 The bracelet is crafted of ion-plated black stainless steel with a polished finish. It has a fold over clasp and is 8” in length. Add an impeccable finishing touch to your attire with this spiritual bracelet.